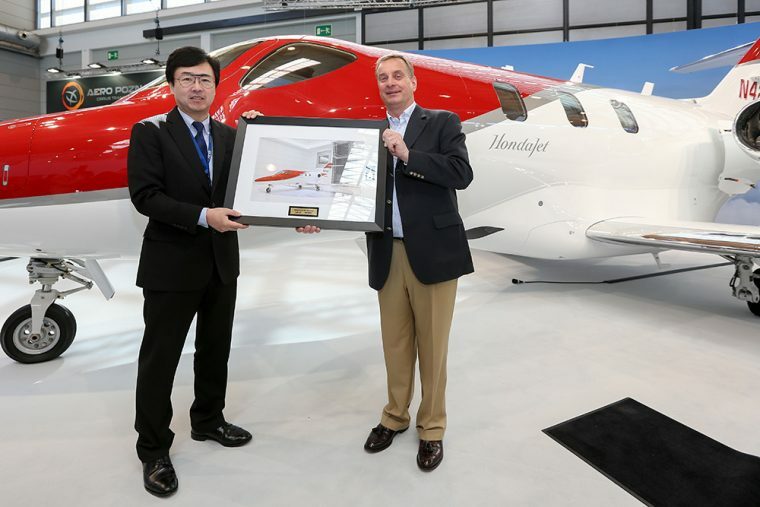 Today Honda Aircraft Company announced the recent delivery of the first HondaJet in Europe. The milestone was celebrated during a ceremonial delivery at AERO 2016, which is taking place in Friedrichshafen, Germany from April 20th through the 23rd. Rheinland Air Service, Central Europe’s exclusive HondaJet dealer, will operate the first HondaJet to enter service in Europe. This is the latest in a long line of milestones for the HondaJet over the last few months. The HA-420 HondaJet received FAA type certification in December 2015 and began customer deliveries in North America later that month. Since then, the plane’s engine has received its FAA production certificate, the HondaJet has received provisional type certification, and has been certified in Mexico.